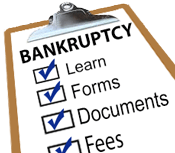 Bankruptcy has long term financial and legal consequences, and hiring a competent attorney is strongly recommended. If you cannot hire an attorney, please visit our Filing Without an Attorney page for more information to guide you through the process. Use our Filing Checklist to guide you through the process.